Key difference: The page is where content, whether it is written or a drawing is posted. 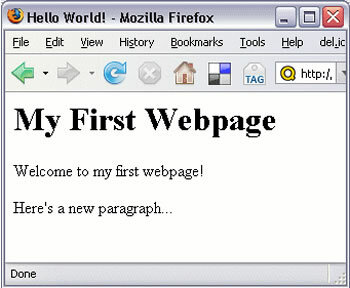 Some common types of pages are a homepage, webpage, etc. A post can be anything, a content, drawing, image, etc. which is posted to a website or webpage. The easiest way to remember the difference between a post and a page is to note that a page is where a post is traditionally posted. The internet can be quite confusing. Not only is the internet fairly new, but things constantly change on it. Something that didn’t even exist, not only exists now, but is also categorized and differentiated, which can be difficult to pick up. One such example is a post and a page. In traditional terms, their meanings are clear, a post is a tall pole of some kind which serves a particular function, for example, a lamp post. A page, on the other hand, is a sheet of paper that one writes on. Most people know these things, however things change when the internet gets involved. These traditionally well know words take on new and different meanings. In the new online context, the meaning of the word page is quite similar to its traditional meaning, it is a blank area for one to write or draw on. The page is where content, whether it is written or a drawing is posted. Some common types of pages are a homepage, webpage, etc. A post can be anything, a content, drawing, image, etc. which is posted to a website or webpage. The term posted means to upload it to a website, where the content will be visible to others. The easiest way to remember the difference between a post and a page is to note that a page is where a post is traditionally posted. There are many different types of posts, e.g. blog posts, Facebook Post, Instagram Post, etc. A post is anything that is uploaded and visible. Hence, when one writes something on their Facebook and posts it to their wall or timeline, then that is a Facebook Post; when one uploads a photo on Instagram, then that constitutes as an Instagram Post. It is much easier to create a post, then it is to create a page. Creating a post requires little to no technical knowledge, such as most people can create a Facebook Post or Instagram Post without knowing any coding. 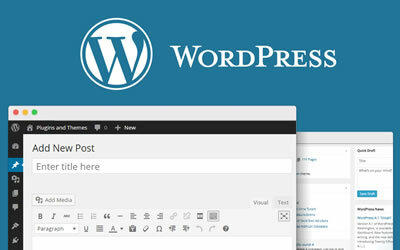 Even creating a blog post is quite easy if one is using a CMS or if the website is already set up. However, create a page is much more difficult, as one does require some technical knowledge. One might need to know some coding, especially if one is creating the website from scratch. If one is using a platform like Wordpress or Blogspot, then they will be able to create pages without coding or technical knowledge. The terms post and page are also commonly utilized in Wordpress and Blogspot, or other similar platforms. While the terminology still remains the same, the terms do pick up additional implications. Here, pages tend to refer to content that are not changed or updated regularly, such as About, Contact, etc. These pages are static. Posts refer to blog posts that that are updated frequently. These blog posts often appear on a webpage, most commonly the home page and is a reverse chronological order, i.e. latest blog post first. A piece of writing, image, or other item of content published online, typically on a blog or social media website or application. A section of stored data, especially that which can be displayed on a screen at one time. A post can be anything, a content, drawing, image, etc. which is posted to a website or webpage. The page is where content, whether it is written or a drawing is posted. Blog posts, Facebook Post, Instagram Post, etc. Refers to content that is not changed or updated regularly, i.e. About, Contact, etc.